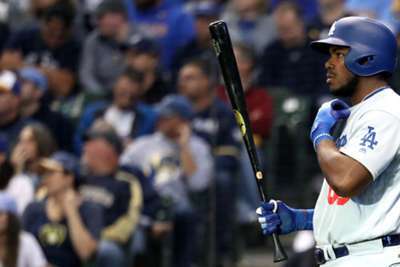 The Los Angeles Dodgers are going back to the World Series for the second consecutive season after their 5-1 game-seven win in over the Milwaukee Brewers. Cody Bellinger hit a two-run homer in the top of the second inning to give Los Angeles a 2-1 lead, an advantage the Dodgers never relinquished in the deciding game in the National League Championship Series on Saturday. Yasiel Puig added to it with a three-run homer in the sixth and Clayton Kershaw closed it out in a non-save situation in the ninth as the Dodgers earned a World Series meeting with the Boston Red Sox. Walker Buehler did not have it in Game 7. He did not have his tight curveball, his fastball command was off and he was probably a little too amped up for his own good. However, that did not matter. Buehler is a gamer — to use a cliche, he is a bulldog. The guy goes out there and competes each and every night. Sure, he did not have his curve, but he did have great velocity to go with his adrenaline and he used it. Buehler repeatedly got swings and misses on high fastballs and tossed in the occasional show-me curve to keep the hitters honest. He also worked in a nice cutter, because he did have some feel for that pitch. It just goes to show a pitcher is not going to have his best stuff every single night, but he can still compete and help his team win. Buehler did not get the victory, but he helped the Dodgers to a win with 4.6 innings of one-run ball with seven strikeouts. It is easy to understand why Craig Counsell took Josh Hader out of the game in the sixth inning. He had thrown three innings for the first time since his last career minor-league appearance and was coming up on the second time through on the Dodgers' order. He had given up just one hit and one walk while striking out four and giving up no runs, not to mention he was only at 31 pitches — far from a season high. In fact, Hader threw more innings and pitches than that eight times as a minor leaguer last year. 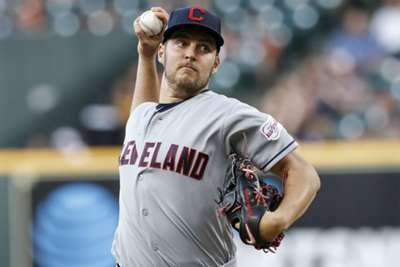 While he likely was not going all out like he does in the bullpen now, he can certainly be extended further than that. Counsell opted to bring in Xavier Cedeno to start the sixth and then Jeremy Jeffress one batter later. Jeffress had allowed six hits, two walks and two runs in 3.3 innings coming into game seven. He then gave up a three-run homer to Puig and the game was all but over. It is easy to second guess now, but Hader had thrown just once in the last seven days before Saturday. He is your best reliever. Ride him as long as you possibly can. As much as Puig can annoy the baseball traditionalist with his celebrations and emotion on the field, no one can ever say he does not love the game. And, at the same time, he can make some really, really good plays. Take the second inning for example. The Brewers shifted to the left side of the infield on him and he simply took a fastball the other way for a double. He did not hit it hard, but he did just enough to get a base hit and make Jhoulys Chacin get deeper into the line-up. Things like that and hustling around the bases, even when he grounds into a double play, are good baseball. Home runs with celebrations in the sixth inning are simply what he can do, because he is so immensely talented. He will have his moments, but Puig can play this game and he can play it great.